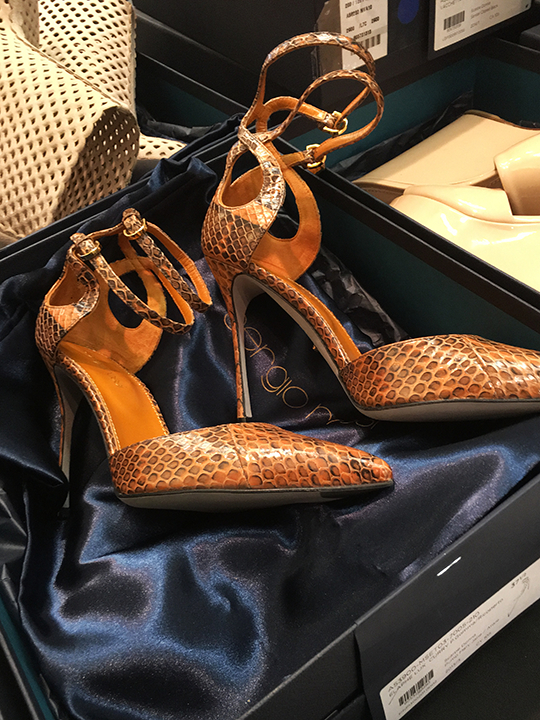 Italian luxury footwear brand Sergio Rossi joins this fall's ever-growing designer shoe sample sale lineup with the kickoff of their sale in Chelsea this morning. 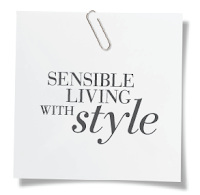 Made for the chic & modern woman, the label's well-made creations can transform a simple outfit into something more sophisticated. This morning, I attended the public opening of the company's 3-day shopping event to take a gander at the goods. With only a small crowd of shoppers shivering in the brisk November chill, I hoped the discounts would be spectacular. Unfortunately, the sale is only for those seeing through Rossi-colored glasses. When the doors opened at 9am, there was only a small crowd of shoppers in queue. 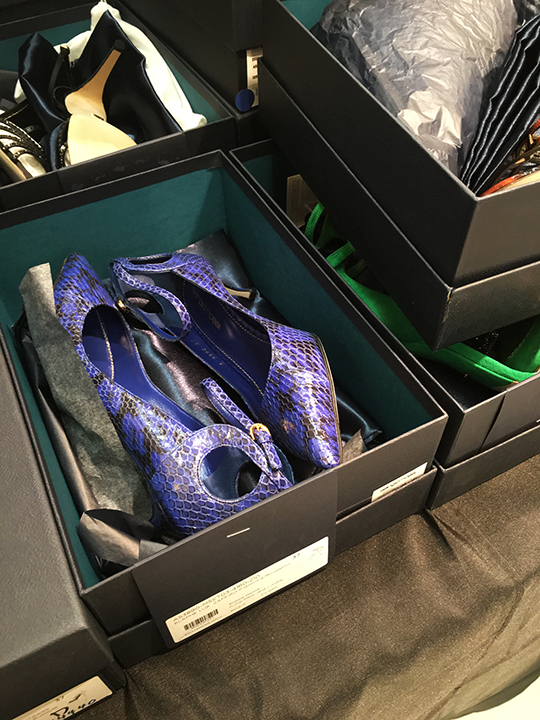 After checking in my coat, I turned around and was greeted by boxes upon boxes of Sergio Rossi's discounted merchandise that were laid out on tables as far as my eyes could see. Before starting my full look-through, I did a quick scan of the price list and found the markdowns higher than I had hoped. 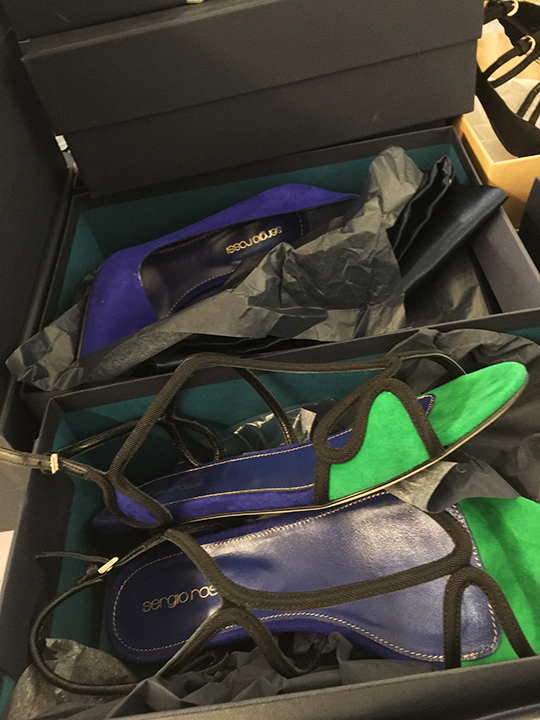 With prices organized by color stickers, discounts ranged from $125 to $400 for most items. 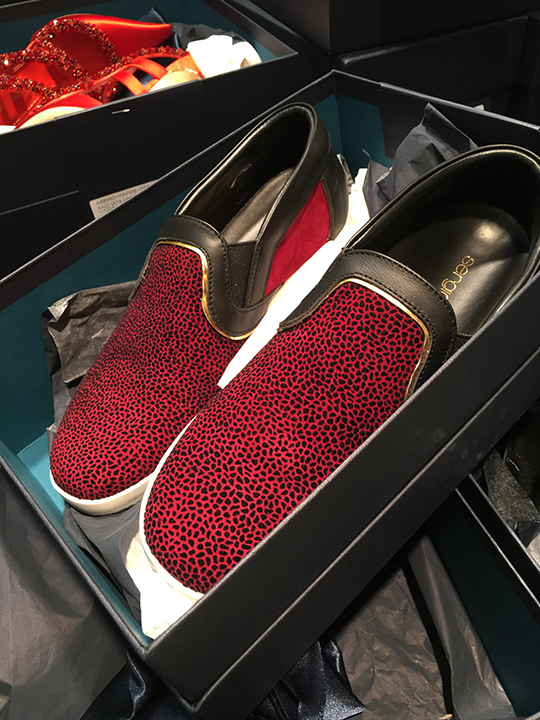 In addition, there were several "special" shoes (exotic skins and knee-high boots) which were priced slightly higher at around the $500 mark. 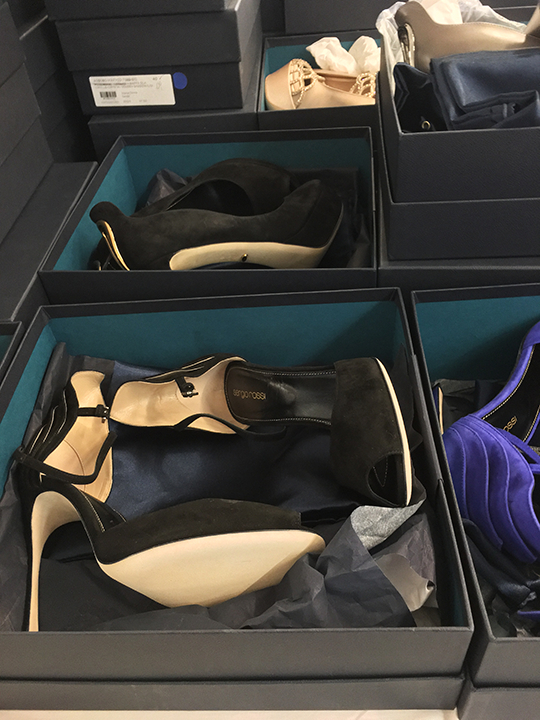 For women's shoes, sizes were available from 34 to 42 and the sale selection leaned heavily towards evening styles. 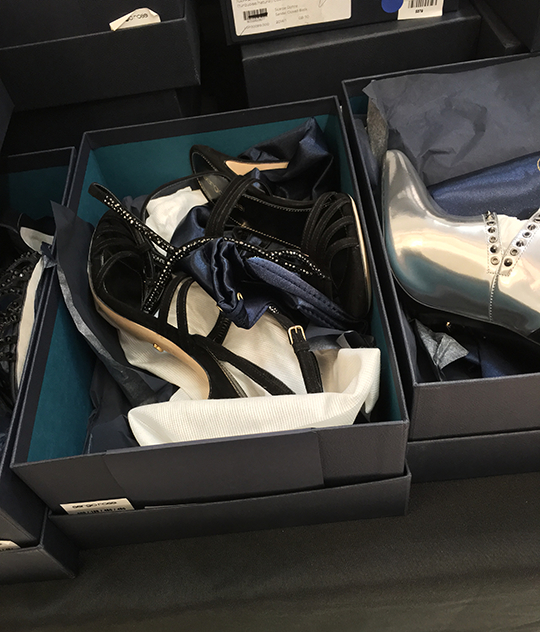 The brand's Mermaid booties were $350 while crystal-embellished sandals were $250 to $350. Furthermore, there was a small assortment of suede pumps, slip-on sneakers, pointed toe flats, and buckled ankle boots but evening stilettos were the main attraction at this event. 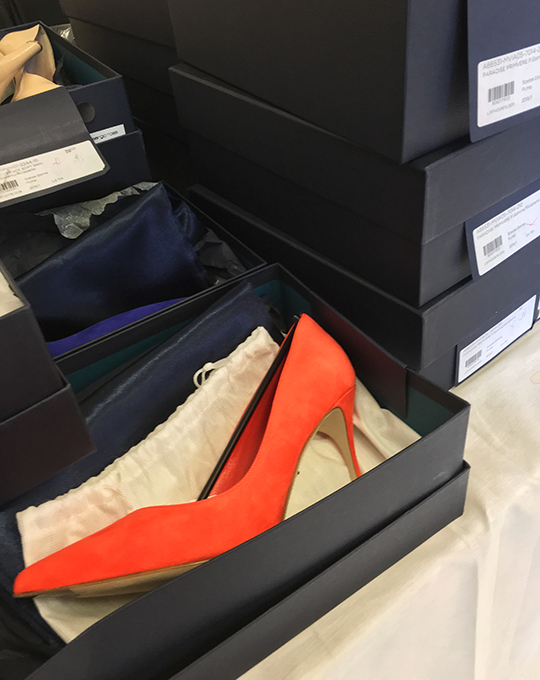 Men's shoes, located in the far back, had sizes 6 through 12. 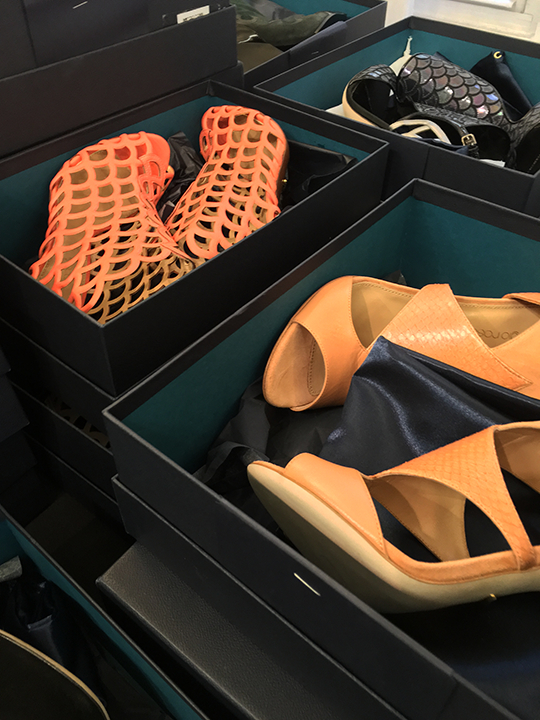 On offer were patent oxfords, sandals, slip-on sneakers, high tops, ankle boots, and loafers. 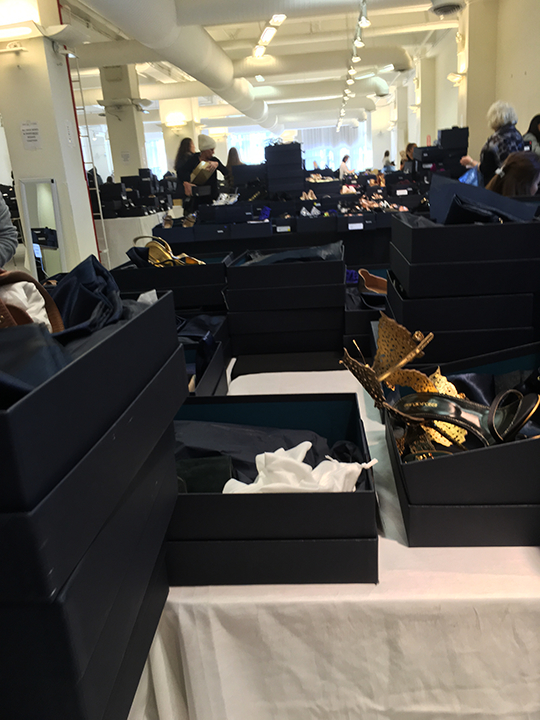 Near the center of the sale, I came across a single table displaying a modest collection of clutches. Each clutch was marked down to $400. 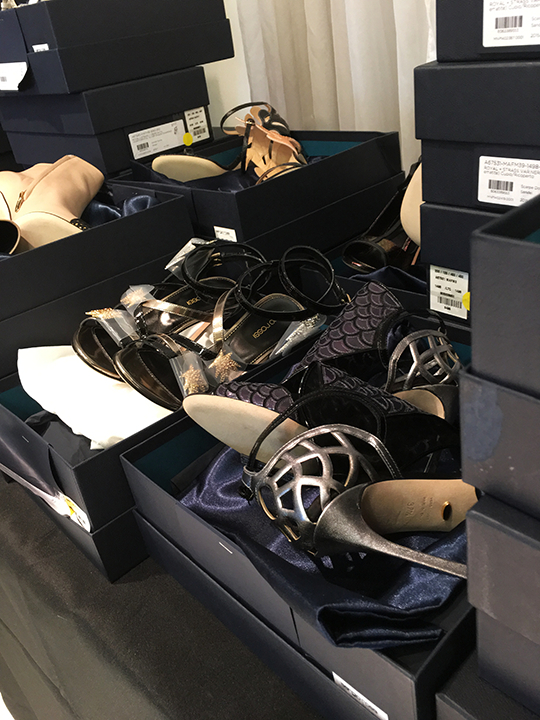 With several designer shoe sample sales happening this week and early next month, I came out thinking the discounts from today's Sergio Rossi sample sale were not worth bragging about. But if you are one of those people who sees through Rossi-colored glasses, the sale hasn't drawn much commotion so you're guaranteed to shop with ease if you decide to do so. Just remember, this event ends on Thursday. Look at all those pretty shoes. 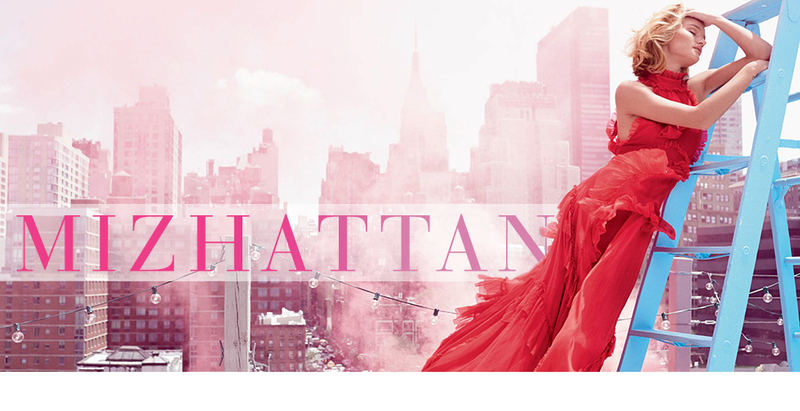 Thanks for the review Mizhattan! As always, thank you for reading! By the way, how did you make out at Balmain? No luck at all. People cutting the line and hoarders galore. I didn't even stand a chance. But it's okay, I will hold out for something even better! The prices were down $100 from the original today, I got there at 10 am (had to wait outside for about 15 min) and there were only a couple styles for $25 left. But they started slashing prices more, while I was there. The stock was going out fast though. In an hour, when I was leaving, inventory was about 25% less. Thank you for taking the time to update us on this sale!